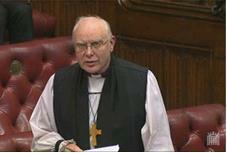 The Lord Bishop of Ripon and Leeds: My Lords, will the Minister press for tax justice to be a distinctive international goal in ensuring that major corporations pay appropriate taxes and in channelling taxes to the countries where profits are actually made? Baroness Northover: The right reverend Prelate is right to highlight that and he will know that the UK Government are emphasising the importance of tax being collected appropriately within the developing countries. This will be transformative. Corporate transparency is one of the aspects required and he will know that my right honourable friend the Secretary of State for BIS, Vince Cable, is working very hard on that. BIS has just consulted and is considering responses, and DfID is trying to ensure that tax regimes in the developing countries are strengthened and built on.